Tesla is a slim, male arrancar with blond hair. He has an odd blue marking on his right cheek and wears an eyepatch over his right eye. Tesla also wears a different style jacket from most arrancar in that it resembles a lab coat. The remains of his hollow mask appear to be a thin upper jaw which forms a circlet around his forehead. 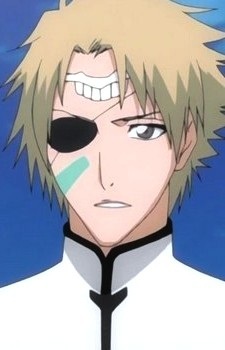 Although he was a Numero his power was comparable to that of a captain as he was able to block Chad's Diablo attack (although Chad was in a weak condition) with his sword, and was able to seriously injure Ichigo while in a weakened bankai state. Tesla seems to idolize Nnoitra to a degree, his eyepatch (though not identical) echoing that of his master. This is also shown when he stands by his act of shielding Nnoitra against Chad's last assault, despite criticism from Nnoitra himself. Nnoitra first instructs Tesla to restrain Orihime while the Espada fights Ichigo, and later to finish off Ichigo. He mercilessly beats the weakened Ichigo in his released state until he is stopped and is badly wounded by Kenpachi Zaraki. He is later seen on the ground in his unreleased state, dropping a tear for the fallen Nnoitra. Tesla's zanpakutō is Verruga (牙鎧士（ベルーガ）, Berūga?, Spanish for "wart," Japanese for "tusked armored warrior"). He releases it with the phrase "crush" (打ち伏せろ, uchifusero?) When sealed, it takes the form of a rapier with a chakram embedded in the blade just above the hilt. Tesla can make the ring solid if he wishes, as seen when he blocks an attack from Chad using the solid ring then converts it back to a hollow one after Chad has fallen. The guard seems to be made of a kind of scaled ribbing. When released, Tesla becomes a large, warthog-like creature. His mask grows to cover his entire face, and also produces a pair of tusks. His hair also grows into a mane. In his released form, Tesla's mask has a large scar covering his right eye, where he has an eyepatch on his unreleased form. In his released form, Tesla uses brute force to defeat his opponents.